June’s edition of #operationsockdrawer is pretty early due to some marathon car knitting over Memorial Day weekend. I have to admit that these my be my favorite so far this year. The yarn is from the very talented The Lemonade Shop (she also dyed the yarn for my Alternative Facts) in the Pixy Stix colorway. This yarn is soft and squishy while still having great stitch definition and strength. 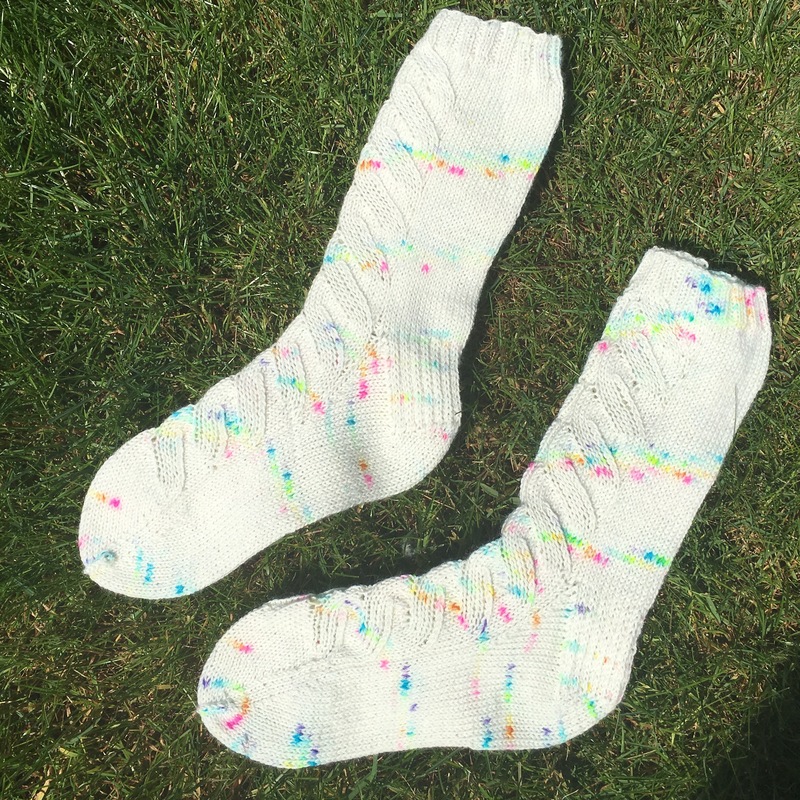 I love the subtle rainbow speckling on the creamy white background. Perfect to accent, but not overpower, the simple lace patterning. 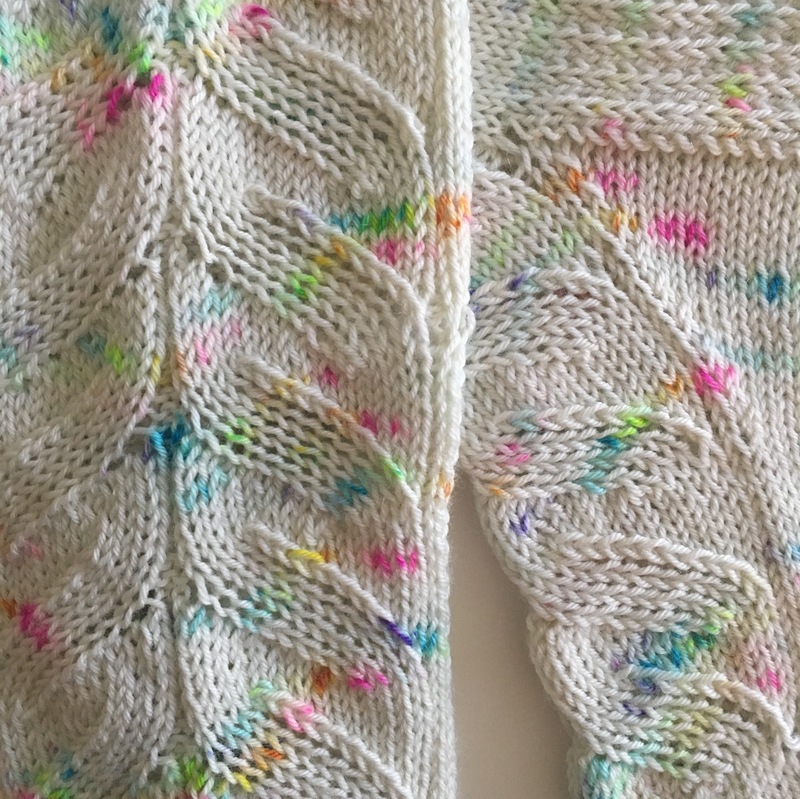 The pattern is Tadpoles by Jenna Swanson. It was the perfect traveling knit, easy enough to memorize while still holding interest, and it was a bit addicting seeing each twist take shape. I’ll definitely use it again. As always, full details are on Ravelry.